I have to say, I think I’m liking this whole electronic magazine thing. Getting a notification in my inbox telling me my magazine has “arrived” is a nice feeling on a Friday…knowing I don’t need to run all over town to pick up a copy. And, frankly, I think the images are even better. 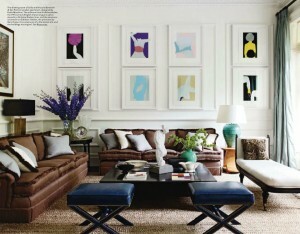 Photographed by Simon Upton for Elle Decor October 2011. My impending trip to London has me revisiting some old favorites from my files…this one is a family home decorated by Paolo Moschino. Pale neutral walls teamed with dark wood floors, great art and a mix of furniture is always a winner in my eyes. The dining room is a great mix of old and new, and the touches of pink are subtle but chic. To be honest though, any room with a Francis Bacon hanging is going to be good as far as I’m concerned. I love the colour palette in the living room, as well as the 4 Vipers series by Philip Taaffe. I fell in love with his work after seeing a piece from the same series hanging in another incredibly chic London home by Jacques Grange. That’s not all these two home owners have in common…they’re also both friends of Valentino – as if they’d be anything other than chic! 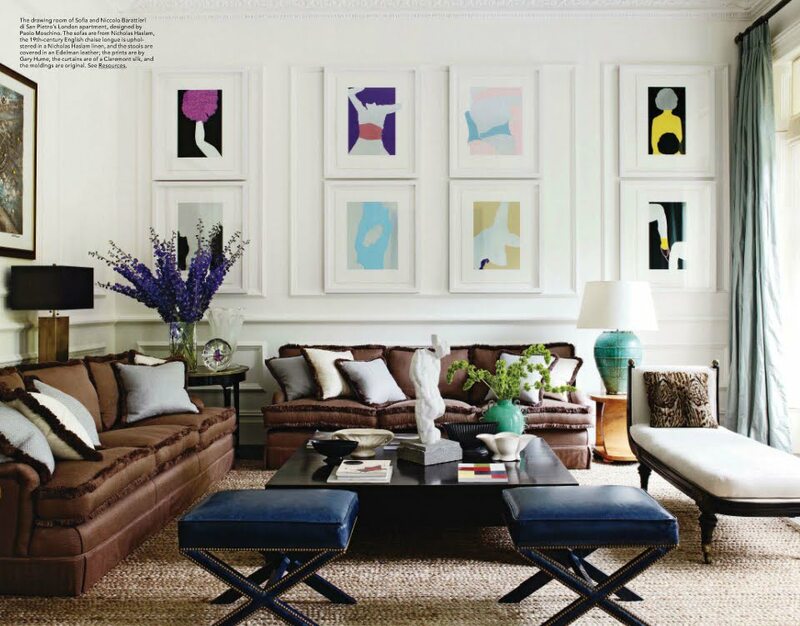 Images photographed by Simon Upton from the April 2009 edition of Elle Decor.